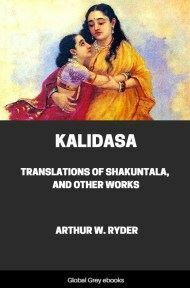 This is a short book of essays which are dedicated to the Hindu Goddess Kali. 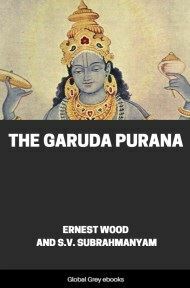 Chapters include; Concerning Symbols; The Vision of Siva; Two Saints of Kali; The Voice of the Mother; and The Story of Kali. OUR daily life creates our symbol of God. No two ever cover quite the same conception. It is so with that symbolism which we know as language. The simple daily needs of mankind, seem, the world over, to be one. We look, therefore, for words that correspond in every land. Yet we know how the tongue of each people expresses some one group of ideas with especial clearness, and ignores others altogether. Never do we find an identical strength and weakness repeated: and always if we go deep enough, we can discover in the circumstances and habits of a country, a cause for its specific difference of thought or of expression. In the North we speak of a certain hour as "twilight," implying a space of time between the day and night. In India, the sane moments receive the name of "time of union," since there is no period of half-light,--the hours of sun and darkness seeming to touch each other in a point. The illustration can be carried further. In the word gloaming lies for us a wealth of associations,--the throbbing of the falling dusk, the tenderness of home-coming, the last sleepy laughter of children. The same emotional note is struck in Indian languages by the expression at the hour of cowdust. How graphic is the difference! Yonder, beyond the grass, the cow-girl leads her cattle home to the village for the night. Their feet as they go strike the dust from the sun-baked path into a cloud behind them. The herd-girl herself looms large across the pasture--all things grow quickly dim, as if the air were filled with rising dust. That word cowdust, indeed, strikes a whole vein of expression peculiar to this Eastern land. Everything about the cow has been observed and loved and named. As much water as will lie in the hole once made by its hoof is a well known measure amongst the Aryan folk! 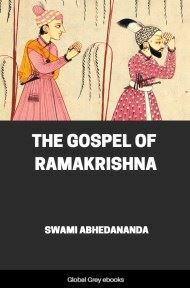 It is unnecessary to argue further that while the facts of nature determine the main developments of speech, yet every language and group of languages differs from every other as the characters of individuals and of nations. Something of the same sort is true of religious symbols. Short of perfect realization, we must see the Eternal Light through a mask imposed by our own thought. To no two of us, probably, is the mask quite in the same place, and some reach, by their own growth, diverging points so distant from the common centre that they mark the extreme limits hitherto achieved of those great areas known as the Christian, or the Buddhist, or the this-that-or-the-other consciousness. To do this, or even to carry a whole race to a new rallying-place round a standard planted on the old frontier is the peculiar mission of religious genius. So Jesus swept down in His might on the old Jewish entrenchments of justice--righteousness and carried the banner off bodily to that outpost of love and mercy which struggling souls had reached, indeed, before Him, but which none had yet been strong enough to make the very heart and focus of vitality. And so every one of us, simply by thinking his own thought, and living his own life to the full, may be answering his brother's cry for God in ways beyond the dreaming of the world. Are Catholic possibilities not richer for the life of Manning, or Protestant for Frances Ridley Havergal? These things being true, the imagery of all men has its significance for us. The mask is created by our own thought directly, and indirectly through the reaction of custom upon thought. Like all veils, it brings at once vision and the limiting of vision. Only by realising the full sense of every symbol can we know the whole thought of Humanity about God. But down with all masks! The Uncreated Flame itself we long for, without symbol or veil or barrier. If we cannot see God and live,--let us then die--what is there to fear? Consume us in primal fire, dissolve us into living ocean, but interpose nothing, no, nor the shadow of anything, between the soul and the divine draught for which it thirsts! True. Yet for each of us there is a chosen way. We ourselves may still be seeking it, where and when still hidden from our eyes. But deep in our hearts is rooted the assurance that the moment will yet come, the secret signal be exchanged, the mystic name will fall upon our ears, and somewhere, somewhen, somehow, our feet shall pass within the gates of Peace, we shall enter on the road that ends only with the Beatific Vision.